This was not a regular Israel trip. Based entirely in Jerusalem, I journeyed recently with my congregants into the heart of some of Israel’s conflicts. The trip was filled with courage and inspiration — but also challenge and heartbreak, even alarm, primarily because of a direct encounter with extremists at the fringes of Israel’s society. It took me several days on return to re-balance from the intensity of the experience. When the air cleared, it was a surprise to me that I was no longer focusing on the edges of Jewish life, but on the center. What took me by surprise was the realization that even at the center of Jewish life, here in America, we are divided against ourselves. And whereas Israel once united us, it is Israel that is now dividing us. The center of the American Jewish community is divided between “AIPAC Jews” and “J Street Jews,” between those supportive of and those critical of a range of Israeli government policies, with an emphasis on the Israeli-Palestinian conflict. Though the celebration of Chanukah is now behind us, its historical story presents itself with urgency and relevance. We were taught that the holiday is the story of a battle between Jews and Greeks. That is true. However, the battle began between Jews and Jews. The core of the Chanukah story is a civil war that the family of Mattathias the Priest waged in a rebellion against the assimilated, Hellenized, Jewish governing elite. The rebellion lasted three years; the Maccabees were victorious, and they returned to Jerusalem to cleanse the Temple of its internal and external corruption and to re-establish Jewish sovereignty in the land of Israel. The Maccabees made themselves high priests, kings and commanders-in-chief, consolidating all centers of power. In three generations, they fought over who should inherit the throne, and called in Pompey of Rome in 63 BCE to adjudicate their conflict. That, of course, is the beginning of the end. Jewish sovereignty ended in Rome’s brutal destruction of the Second Commonwealth. Centuries later, the rabbis of the Talmud taught that Jerusalem was destroyed not by Rome, but because of causeless hatred between Jews. Here we are, two thousand years later, and the level of animosity among us is increasing at an alarming rate. This animosity is not just from extremists; it is right here in the center of Jewish life, in the center of a community divided between “AIPAC Jews” and “J Street Jews.” We say we are all in support of Israel, yet we see ourselves as enemies. We demonize one another and pin the possible downfall of the Jewish state on the policies of the other. Yet we are friends and neighbors and fellow congregants and we all want a secure, Jewish and democratic Israel. This has become a spiritual crisis for the American Jewish community. It will also seriously weaken our capacity to effectively lobby in support of Israel. We must find ways to listen to each other. Both AIPAC and J Street sponsor an annual national conference in Washington, D.C. I am planning to attend both conferences this coming year. Several of my fellow rabbis in neighboring Westchester congregations have joined me in this effort to attend both conferences, and to bring members of our congregations with us. This group includes Rabbi Jonathan Blake of Westchester Reform Temple, Rabbi Les Bronstein of Bet Am Shalom and Rabbi Gordon Tucker, rabbi emeritus at Temple Israel Center. The AIPAC leadership said they do not feel it can support this initiative. We cannot afford to be divided against ourselves. We need to find a way to listen to each other, and hopefully learn from each other, at least in the center of Jewish life. The future of the American Jewish community depends on us; the future of Israel depends on it. The Maccabees of old re-established Jewish sovereignty — the small against the many, the weak against the strong. Yes, it was a miracle. But torn apart by internal strife, their model of an independent Israel didn’t survive. Many centuries later, we are now in year 70 of an independent Israel and once again, we seem to be unable to talk to each other. This crisis of the Jewish people is happening on our watch. 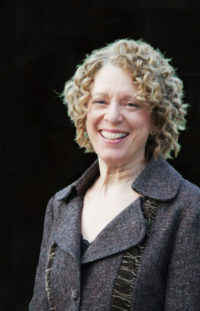 Rabbi Shira Milgrom is Rabbi of Congregation Kol Ami of Westchester.